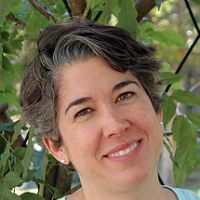 Professor Sentilles specializes in nineteenth-century cultural history, American women’s history, the history of childhood, girlhood studies, gender studies, and the American West. She teaches a wide range of courses in American history, including women’s history, western history, history of childhood, gender and sexuality, major books, nineteenth-century America, and biography. She is currently writing American Tomboys and the Construction of Modern Girlhood, 1850-1920 for University of Massachusetts Press. Professor Sentilles is available to give comprehensive exams in the following areas: American women’s history, history of childhood, American cultural history, American Popular Culture, Gender and Sexuality, history of the American West, and early American history. Renee Sentilles will be giving a talk titled “The Passing of the Tomboy”.